Which carpet cleaning method is better, steam-cleaning or dry cleaning? The topic is probably one of the most debated amongst professionals and consumers, and there is no shortage of misinformation and scare tactics on both sides. The answer is, both methods have their place in the cleaning industry. As many of our thousands of customers already know, it does not take 1-2 days for a carpet to completely dry (as one major carpet dry cleaner insists) when steam cleaning; it’s more like 1-4 hours. Any prolonged drying is almost always due to technician error. That’s why it’s important to pick a carpet cleaner that follows cleaning procedures set by the IICRC (Institute of Inspection, Cleaning and Restoration Certifications). Heartland Steam Cleaning not only sends all of our technicians through carpet-cleaning training to receive certifications, we are an IICRC Certified firm. The IICRC is the major body governing the cleaning industry. They set the standards for cleaning practices in a variety of services including carpet cleaning, upholstery cleaning, tile and grout cleaning, water damage restoration and more. We at Heartland can only speak of how we operate. We use truck-mounted carpet cleaning machines, which means our equipment is permanently mounted inside a carpet cleaning van. 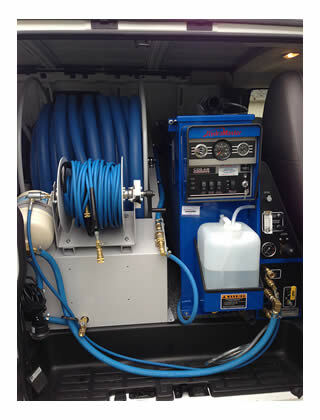 A “truck mount” is better than a portable steam-cleaning machine because of the 230-degree hot water it produces, the strong vacuum power and the convenience for the operator/technician. We follow the procedures set by the IICRC. We are ethical and do things the right way every time. Steam-cleaning saturates the carpet and takes 1-2 days to dry. This is not the case at Heartland Steam Cleaning. We do not “saturate” the carpet; rather, we lightly mist a pre-treatment that helps break down soils. When extracting, we inject hot water into the carpet at a rate that is completely safe and will not over-saturate or reach the backing of the carpet or the carpet padding. The water is immediately extracted with a power vacuum system. 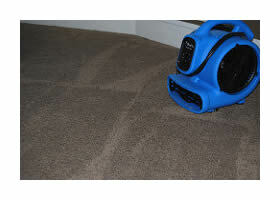 We ALWAYS brush the carpet afterwards and set up air movers to improve drying times. Most of the areas are dry before we leave; the rest always dry within a few hours. Steam-cleaning uses excessive amounts of soaps and detergents. We use safe but effective cleaning agents that will not leave a residue or detergent in the carpet. When extracting, the solution injected into the carpet pile is hot water mixed with a pH-balancing neutralizer so all dirt and water are efficiently and safely rinsed away. That simply means the pH levels are reduced to neutral after the cleaning. Soapy residue left behind attracts dirt and causes your carpets to get dirty much faster. Again, if properly cleaned, this will not happen. Believe it or not, there is some real chemistry involved in carpet cleaning. Most food and drink spills are acidic, so to combat that soiling you have to use something from the alkaline side of the pH scale to dissolve it. If properly rinsed and with the use of a pH balancing neutralizer, there will be no soapy residue left in the carpet. There is another organization that monitors and governs the cleaning industry called the CRI (Carpet and Rug Institute.) The CRI is a non-profit trade association and “the foremost source for carpet information – based on fact and science, guided by principle.” According to the organization, “At CRI, our mission is to educate consumers, commercial stakeholders and the industry about carpet and rugs. From health benefits and environmental efforts to trends and advice, we are here to inform our members and their customers.” When asked about best professional carpet-cleaning methods, they point to the carpet manufacturers’ advice.